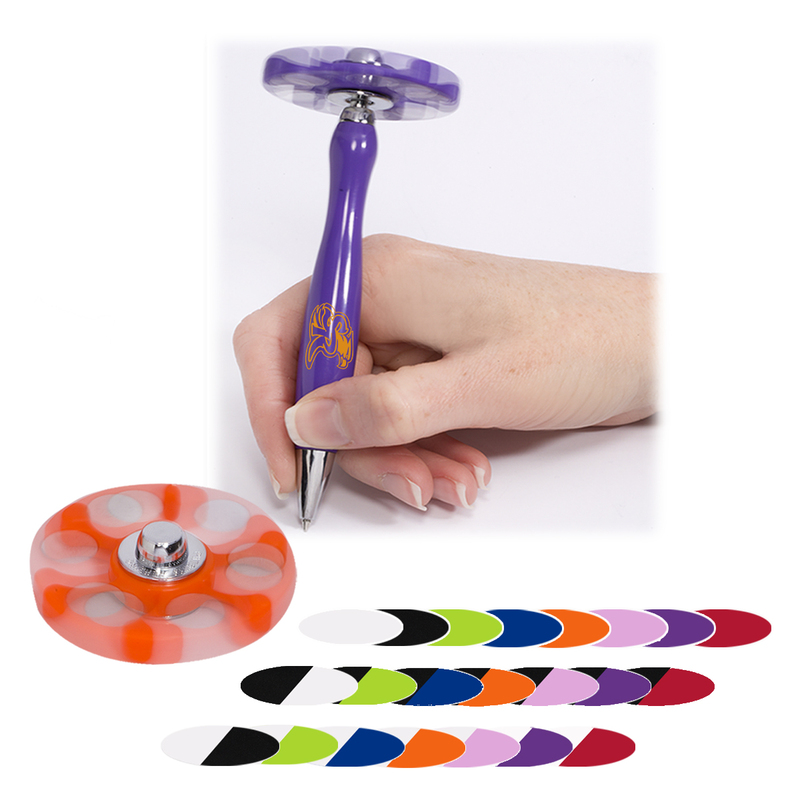 Retractable ABS Plastic pen with toy fidget spinner topper. Approx. spinner rotation time is 1 minute.